Regular people don’t realize how insane the pre-Christmas months are for makers. But: it’s true, they’re insane. The sheer quantity of work -- in combination with the uncertainty and pressure of making the most of holiday sales -- adds up to quite the exhausting scenario. So: if you’re feeling similarly, remember that 1) you’re not alone and 2) January will come. Also: I asked some of the most effective, successful, and inspiring makers I know to share their tips for staying sane, organized, healthy, and focused in hectic times. Read on! Free Period Press creates products to help you unplug, relax, and get your creative juices flowing. Cleveland-based Lora puts an incredible amount of soul, hard work, and savvy into Free Period. She partners with other great artists and makers in the design of each product and ends up with items that are inspiring, helpful, and fun. Lora at the Cleveland Bazaar. Via @freeperiodpress. Relationships are such an important part of self-care, and they often get neglected during our busy seasons. Packing orders and hanging out at craft shows is more fun with friends. Offer to pay them for their time if you can, or at least provide food! Prioritize what you need to do. Your to-do list is probably a mile long, but try prioritizing your to-do list in terms of your goals. Ask yourself, "Which of these tasks is the most important to get me to my goal?" When I do this, I usually realize that a surprising number of tasks are not as urgent as I thought. During some seasons, I am focused on getting money in the door! So during those times, I prioritize based on ROI. I ask, "Which of these tasks is most likely to bring in the most revenue?" Consider a Self Care Index. Note from Wholesale In a Box: Lora didn’t mention this, but she has the coolest Self Care Index zine that could be a fun and helpful tool. San Diego-based Jonnie is a strong, vibrant presence in our maker world. She makes her Grey Theory with a touch of sass, a pinch of the profane, and a lot of class. She’s also uber-busy as her business grows, as she’s thriving in both wholesale and online. I started a variation of bullet journaling after a friend told me she thought I'd enjoy it. She was right. I love being able to have my goals/tasks split up into their various priority level. I have an "at a glance" which is my equivalent of an analog zoom out. For keeping orders straight I have a word document that has 3 columns: Current POs, Later Ship Date, and Consignment. When an order comes in I plug the shops name in, the date they ordered, the ship date I quoted and the order total. This makes it easy for me to see what needs to be done when, what I will be quoting for a ship date for incoming orders, and when it comes to month end I can plug in the order total to my spreadsheet. Staying on top of money-in-the-door. I have no training in bookkeeping, but this year I really wanted to see what was coming in -- per account -- so I started two spreadsheets. The first is called “Finished PO's” and the other is called “Deposit Log.” As the POs go out, I plug in all the data from my Word document: date ordered, date shipped, shop name, and their order total. For my deposit log, I plug in the numbers for wholesale, retail, and consignment at the end of the month. So far, so good! It gives me peace of mind to know how much I am actually making. This year I hired help. I may have made that decision a little late in the game, but finding the right person was so important to me. I am looking forward to having the help with production, but even more so with the holiday retail shows! I try, try, try my darndest to have one day off a week (versus the random hours throughout the week). It's hard, but I'm getting better at it. I prioritize getting a workout in at least 4 days a week. At very least I do a 15 minute HIIT workout. Getting that blood circulating does wonders for me when I'm feeling hella grumpy-moody. Last year I was SO toasted come Christmas, I decided that the first two weeks of January would be a personal "no-work unless you really want to" sabbatical for me. Having that carrot in front of me makes me feel like I can get through anything. I met Paris at two makers’ summits I spoke at this year and she is as warm, generous, and smart in person as her illustrations are. 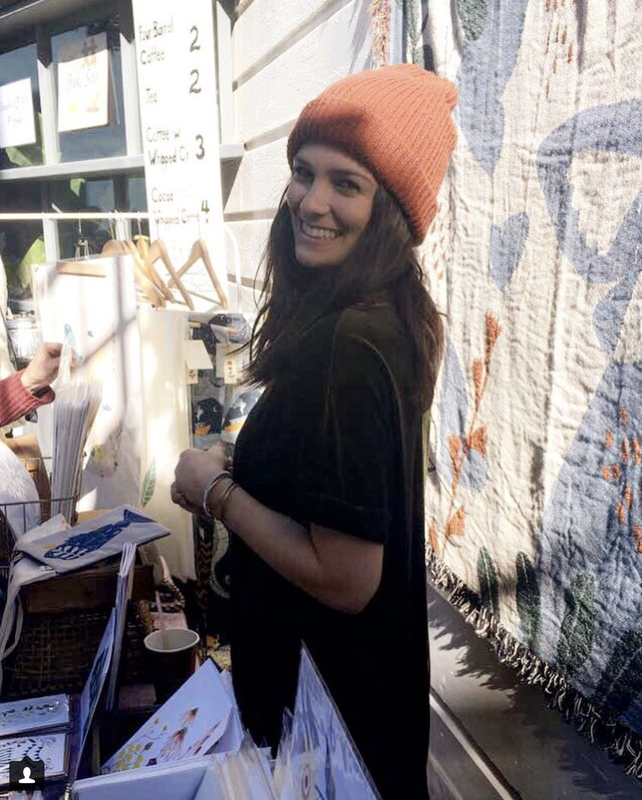 A Knoxville native, Paris creates apparel with a purpose, quirky paper goods, and city maps. Haha I'm a list maker addict ;-) I end each work day by making a list for the next work day. And not a digital list, but a hard copy one -- one that I can keep propped up on my desk all day, staring me in the face. It helps me to visually see what I need to do and also induces a good bit of (healthy) guilt if I'm procrastinating and not getting as much done as I should be. I know this is one of those things that is kind of eyeroll-inducing, but stay with me? I was always the person that never worked out because "I didn't have the time." When I started going to the gym consistently, I realized that it sets me up for success in my day to day life; I have a better mindset and I'm 100% more efficient/effective running my business. It's also nice to have an hour each day that is dedicated to me and not emailing, packaging, talking to customers, etc. Have a friend that will listen to you rant. Learn that not everything needs to be done immediately. My phone is a really big distraction for me and I'm currently still figuring this one out. What if I don't answer this email right now?! What if I don't reply to this instagram comment immediately?! Ha! Trying to remind myself that everything can wait and I will get to it eventually. 90% of things can at least wait 24 hours for you to get to them. No one is going to die if I don't answer their email immediately. Meaning that my feelings do not matter in my business. Sounds cold, right? Well this is my number one way that I self-care in my business. I'm a very emotional person and I have a tendency to take things personally, which are two of the worst qualities to have when working with clients. Some days I will literally write "Business isn't emotional" on my forearm to remind myself that my #1 priority is to serve my clients as best I can. For me, it's a small way of controlling my emotions and learning to be more flexible. Organization, focus, and self-care needs are things that are always changing. Organizational needs will change as a business grows and same with self-care and focus. Haha… owning a business is a learning curve 24/7. Thank you so much to all three of you!! Your wisdom is hard-earned and each nugget is such a good reminder and valuable insight. I remembered this the other day and laughed. Because similarly, sometimes my job is insight and magic -- and sometimes I spend my whole day telling makers to stick with their own darn wholesale terms. There is a restaurant owner who wants to buy a LOT of plates from me, but wants a wholesale price that’s dramatically reduced. Should I do it? A brand new stockist, who has been inconsistent in her communication, requested Net 30 even though my terms say I take payment up-front. What should I do? A store owner who seems sketchy wants me to send samples of every one of my products, even though I say in my terms that I’ll provide one sample but that others can be purchased at wholesale price. Seems a bit excessive but maybe I should do it? In each of the above cases, the first thing I noticed was how the maker sounded frustrated and scared. The second thing I noticed was that the maker had already made a decision about this scenario -- in their own wholesale terms. So to all of these makers, my answer was simple: stick with the terms you already set. And do so in a friendly, collaborative, and clear way. Many makers who feel betrayed by their own business. They love it, but they describe it like an abusive boyfriend. They feel angry and resentful and tired. They may be physically sick from overwork. They feel cornered between their own desire to grow, their fear of losing it all, and their own exhaustion and depletion. And in many cases, this feeling comes largely from their own unwillingness or inability to maintain clear boundaries in their business -- especially with their wholesale terms. Hustle is really important. When you are starting and growing a business you do have to go the extra mile and work super-hard. 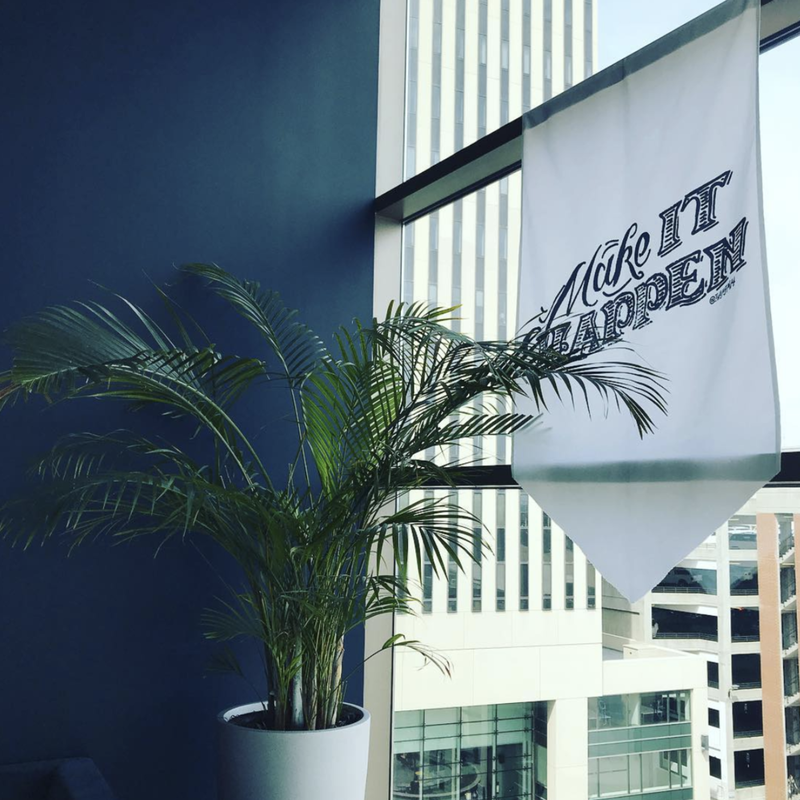 Things I’ve done to grow my business include staying up all night to find stores for a single maker, worked on holiday after holiday, and made the “impossible” happen for the people we serve. But many times, I believe that makers aren’t compromising on their boundaries out of hustle, but out of fear. Fear that someone might think they’re not “nice.” Fear of losing a sale. Fear that the universe is a scarce and threatening place and that if they set a boundary, they will END. UP. WITH. NOTHING. b) To “be nice” or because I’m afraid that everything will crumble if I don’t make concessions? If your answer is really truly “a”, then perhaps it makes sense to go against your own policy / boundary / terms. But if it’s “b”, then I have only seen frustration, scarcity, and fatigue result. And I do agree that being positive, kind, and a good collaborator is incredibly important in growing wholesale. You wouldn’t believe how many store owners tell me that they could buy from a different maker, but that THIS maker is just so easy to work with. Compromising your own boundaries and terms ends up making you HARDER to work with and limits the growth of your business. DON’T set unnecessarily rigid or strict terms in the first place. Don’t throw in a bunch of terms for good measure or to “seem professional.” Set terms that you think are simple and important and feel necessary. That way, when it comes time to maintain those boundaries, they feel intuitive and important to you. Oh, and if you need help deciding what to make your wholesale minimum, you can find more on that here. Sometimes makers write their terms in a severe, off-putting, confusing, aggressive type of language. Yes, it’s important to have clear terms. But it’s also important to state those terms in a way that is human, friendly, and approachable. DO maintain your boundaries in a friendly way. I’m not sure why, but when people maintain a boundary, sometimes they do so in a way that sounds frustrated, snippy, stern, or condescending. Remember that no one can make you violate a business boundary without your permission -- and so you can maintain your boundary and uphold your terms in a way that’s cheerful, kind, and warm. And that difference in tone may likely be the difference between losing the sale and gaining a stockist for the long term. DO use your emotions as an early-warning sign. Anger, resentment, and fear are indications that you may need to set or strengthen a boundary. Sometimes it’s a boundary with a specific person and other times it is a general boundary between yourself and your business. If a store owner’s request makes you feel scared and frustrated, it’s likely that a warm and polite “no” is in order. My observation is that the makers who are best at maintaining their boundaries in a way that is warm and collaborative are those that tend to succeed at wholesale. And ironically, those that are constantly shape-shifting and compromising and bending over backwards are those that don’t make it, ultimately. Trust the wisdom of your own boundaries. Be relentlessly kind and warm in your communication of those boundaries. And know that when you do these things, you’re acting on behalf of your biggest and best business and life. Mostly, growing your handmade wholesale business is not a place for cheats or tips or tricks. Mostly, growing wholesale is a long-term game where “boring” things like consistency, followup, respect, thoughtfulness, and gradual improvement of your product line are what work. So, with the permission of the aforementioned makers, I’m sharing two of those tips. 1. Pitch stores in a city you’re visiting and set an appointment. You’ve probably heard us say before that it’s generally a terrible idea to stop into a store and pitch your work, unbidden. Store owners want to be working with their customers when they’re in the shop, not reviewing your work. We’ve seen this be incredibly effective, leading both to higher response rates as well as a lot of sales for the couple of makers who have done this. If you’re a Wholesale In a Box maker, you can let us know that you’re visiting a certain city and we’ll focus your outreach there during that timeframe. If you’re not a Wholesale In a Box maker, you’ll have to do the legwork to find the shops and track down contact information, but you can still certainly use this strategy. 2. Engage personally via Instagram before you reach out. Another “no no” is to pitch store owners via social media. It’s just not professional (or effective) to leave a comment on a store owner’s Instagram post, pleading for them to review your line. But -- one of our makers let us know that she’s making sure to follow store owners on Instagram about a week before she reaches out via email. She also engages in a thoughtful, real, personal way on one or two of their recent posts. Then, when she does reach out via email, she’s finding that store owners feel like it’s a much “warmer” contact than it would be if she were reaching out totally out of the blue. It’s certainly not a manipulative thing -- just a friendly way to connect before it’s time to really pitch your products. If you’re a Wholesale In a Box maker, the Instagram link for every store is included in the store’s profile, so you can just click through to engage. If not, usually a quick search within Instagram will do the trick. Like I said, these tips aren’t going to change the game for you if you’re struggling with a product that’s not where it needs to be, or if you’re not playing the long game and staying consistent over time. But they could be fun -- and super-effective, if these makers’ experience is any indicator -- to try within the context of a broader strategy. As you’re probably well aware by now, Etsy Wholesale is closed its doors: July 31, 2018 was the last day of the platform. While few people are surprised -- since Etsy Wholesale had been quietly withdrawing for months -- many makers are understandably frustrated, freaked out, or just… tired. So I wanted to put together tips and tools for moving forward and continuing to grow your handmade wholesale business, now that Etsy Wholesale is closed. Let’s talk “big picture” for a second. As recently as 10 years ago, trade shows were pretty much the only way to grow wholesale for makers -- period. It was a very unified, monolithic, systematic market. And when we started Wholesale In a Box 3 years ago, Etsy Wholesale was just starting and there were very few other options. The last year or two has seen a boom in platforms for wholesale, and the speed at which new folks are popping up is only increasing. So the overall trend is that handmade wholesale is becoming increasingly fractured. Platforms and marketplaces come and go and their algorithms evolve and change. It’s hard to find solid footing in that landscape -- you’re left not knowing how to grow your business in a sustainable way. But I don’t believe you need to accept this level of volatility and risk -- there are concrete things you can do to make your business strong and resilient, despite the changes. Ultimately, whatever tool makers use, you need to take the work of marketing and connecting with stores into your own hands. That will be useful to you 50 years from now, regardless of what happens with the platforms, just as it was 50 years ago. That’s all helpful context, but I know that most importantly, makers are looking for a way forward in these last weeks of Etsy Wholesale. First: You know what’s best for your business and there is no one answer about what you should do, now that Etsy Wholesale is closing. The way you’ll move forward is a strategic decision that probably should be pretty strongly guided by your gut and plans. That said, we’ve helped over 400 makers grow their wholesale business, so I do have some opinions about what Etsy Wholesale sellers should be thinking about in coming weeks, to make this a time of growth in your business, rather than a time of crisis. I know this change feels urgent, and there are aspects of it that are. But I honestly think that the first step you should take is to pause and reflect. Not post on Instagram. Not email every stockist you have. But reflect and make a plan. You have 4-8 weeks to put your plan into action, and a good plan, executed more slowly, is better than a poor plan executed quickly. 2. Divide your plan into immediate action and strategic changes. Don’t confuse your immediate actions with your strategic plan around this. There are a couple of things that you’ll want to do in the next week or so -- but all the rest will benefit from a thoughtful plan, carried out over the next 4-8 weeks. If you mush the two categories together, you’ll be more stressed and end up with worse results. 3. Get all of the information on your Etsy Wholesale stockists. As soon as possible, you’ll want to capture all of the information (particularly names, websites, and emails) of your Etsy Wholesale stockists and keep it somewhere that you can access after the platform closes. There isn’t a way to download all of that directly, so Natalie Jacob from Etymology suggests taking screenshots of each purchase order. Try to save them in an organized way or even turn that data into a spreadsheet or similar list so that it’s easy to access later. 4. Forge new connections with your Etsy Wholesale Stockists. 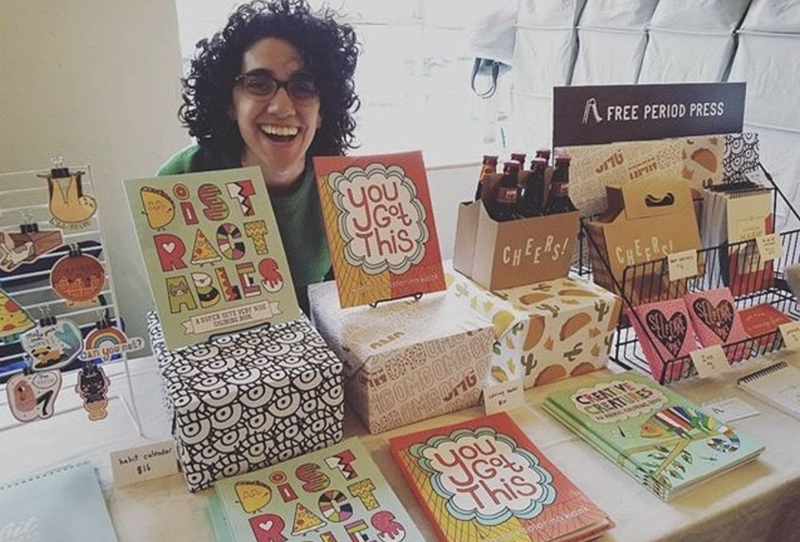 If you have current stockists who buy through Etsy Wholesale, communicate with them, and actively support them in transitioning to a new method of ordering, paying, and staying up to date on your line. This might take several touchpoints, so be persistent. Touch base with each store individually. This is a big transition and it’s very much worth contacting each store personally. That way, you can use the opportunity to let them know about new products they might be interested in, check in with them on how things are going, give them your new ordering information, and answer any questions. So although I’ve been seeing makers use Instagram posts for this purpose, I think that misses the opportunity to connect more personally. Don’t just reach out once. Store owners are busy and are handling this transition with all of their Etsy Wholesale vendors. So certainly don’t harass them, but plan to contact them a few times over the next few months, to make sure they have your info and know you’re there for them. Make the new system very simple. We’ll talk about how to devise a new ordering system (#8) and a new system for sharing your products (#6). But whatever systems you choose, be sure that when you share the specifics of the new approach, you make it as simple, straightforward, and clear as possible. Try to send them to the “final” ordering system, even if it’s not perfect yet. One maker we work with is creating a new website but it won’t be done until late August. She does have a website that stockists could order from now, but she’s not thrilled with it, so is considering sending store owners to an intermediate solution for the next couple of months. My recommendation? Send stockists to that website now, anyway. It’s better than having the stockists change systems twice. 5. Don’t necessarily just swap Etsy Wholesale with something else. I’ve been hearing makers ask, “Any suggestions for what to replace Etsy Wholesale with, now that they’re closing?” But in all honesty, I think that is the wrong question. Depending on the stage and unique characteristics of your business, you might want a different system for each of these functions, even though Etsy Wholesale used to do them all for you. In fact, you might consider brainstorming options for each before ultimately deciding what you’ll choose. In #6, #7, and #8, below, we’ll talk about options for each. 6. Create a new system for presenting your products online. Consider creating or improving your own website. Probably the ideal option for sharing your products with retailers is via your own website. If you already have a retail website, that can certainly serve as the place that store owners go to look at your products. They can even shop your website with a 50% off coupon code if your markup and shipping will allow for that. Alternatively, they can view your products on the retail site and just place their order via email or phone. If you don’t have a personal website yet, you can get something simple and effective going fairly quickly with services like Shopify and Squarespace. You can always plan to improve it or make more complicated later, but even a few days invested in setting something like this up could get you pretty far. Or, create a simple line sheet. A more low-tech way of presenting your products is through a PDF line sheet. We recommend making this document a bit of a hybrid between a lookbook and a traditional line sheet -- including an “about” page, gorgeous photos of the line, all the specifics (including price) on each product, and Wholesale Terms. You can have this on hand for stores to peruse your products as well as order from. 7. Create a new system for finding new stockists. That means that it’s a good time to consider creating a system for yourself to start proactively connecting with stores that you think will be a great fit for you. Of course, we’re really passionate about direct, thoughtful, individual outreach to shops that you think could be a great fit for what you sell. That’s what we support makers in doing at Wholesale In a Box. But you can also start a practice like this on your own -- and we have some good training resources in our Training Center and in our beloved free email course, Grow Your Wholesale. There are also platforms like Indigo Fair, Hubba, Stockabl, IndieMe, or even new models like Handheld Handmade so those could be good to check out as one piece of your strategy. 8. Create a new system for payment and invoicing. Depending on what you choose for the way that stockists will review your products, you may have already covered a payment/invoicing system. But, many approaches will still need a separate payment and invoicing system. For instance, if you create a PDF line sheet, you’ll still need a way for store owners to place orders. A simple Paypal or Square invoice will work just fine -- and of course, store owners don’t need these services to pay these invoices. They can pay with a regular credit or debit card -- you just need to get set up on your end. 9. Be sure that you have Wholesale Terms. Although technically you should have already thought through your wholesale terms if you were operating in Etsy Wholesale, it’s possible that you didn’t think them through in much detail. Payment and ordering. How will you accept orders? What forms of payment do you accept. When do you need payment (on ordering, on shipping, or some combo)? Minimums. Your minimum for your first order and for subsequent orders. Shipping and insurance. Who pays for shipping, how are things shipped, who pays for insurance if any, etc. Anything else. If you have other things they should know before they order, now is the time. Wholesale In a Box's free Training Center and in-depth Grow Your Wholesale email course as well as our service to help you get your work into more stores. Aeolidia's support for makers who are creating new wholesale sites, including how to set up wholesale ordering on Shopify, how to decide whether you need a wholesale site, and their paid design services. An in-depth article on cultivating reorders with current stockists. A lawyer's take on why Etsy has some unique challenges for handmade businesses anyway. Your wholesale strategy is going to evolve and change -- so don't panic and do something expensive (like signing up for a trade show that you can't afford) just because Etsy Wholesale is changing. Take some time to experiment, explore alternatives, and reflect on what you really envision a sustainable wholesale strategy being for you. And, never hesitate to reach out to us (team@wholesaleinabox.com) if you have any questions along the way! 2 years ago, we did our first Wholesale In a Box giveaway. Makers entered by commenting on our blog, and then we picked a winner from the bunch. So we decided to hop on the phone to hear how her business has evolved since then. What she shared was really inspiring, very actionable, and sometimes surprising. Sky has managed to grow her business by leaps and bounds, and to a size that few makers know is possible. 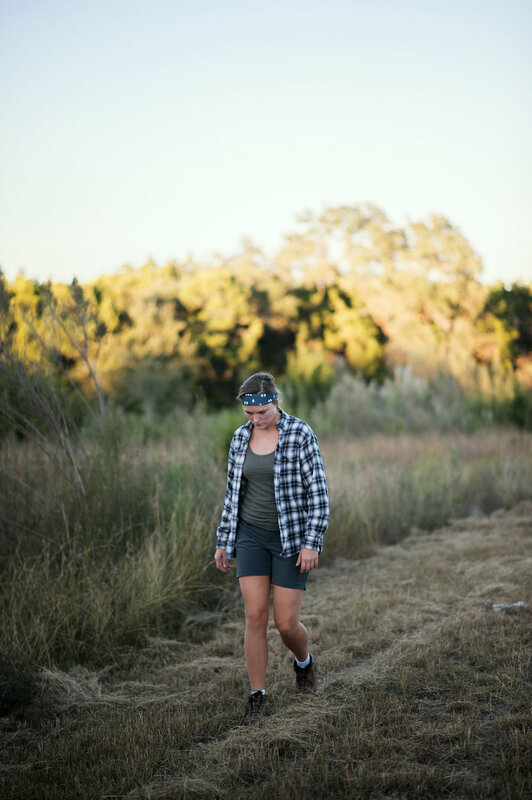 She’s stuck to her mission and values, finding thoughtful ways to bring in production help as she grows, but never compromising on what is most important to her. “My motivation to do this daily is that our whole operation is based in the US. We get to support the people in our community, as those are the people who design and sew our products. That is very motivating for me because it means we are helping people here in our country continue to feel empowered and appreciated. I could manufacture our products at a 16th of the cost if we outsourced some to offshore but, for me, keeping jobs here in the US and helping people on our soil to be employed is top of my list and always will be with SugarSky. “Before launching the business, I started brainstorming and thought; What talents or skills do I have in my wheelhouse that I can turn into a business? I tossed some ideas back and forth and thought, well, I know how to sew and I am always wearing headbands. “My original goal was to sell 10 headbands. I thought: If I sell 10 headbands this is a success. I had left my full-time job in Corporate America so my aim was to sell 10 the first month so that could go towards helping pay our bills that month. The next month, we planned to reassess. There were lots of trips to fabric stores to find a good material and sewed prototype after prototype, finding the right material that was comfortable and a good fit. After that, I just pressed the launch button, with only 5 patterns. The business was me sewing everything and trying to work out the kinks as I went along. SCALING: FROM MAKER TO BUSINESS OWNER. “My business is very different now than when it first launched. In the beginning, I was sewing everything. Still being in my corporate job at first meant things were taxing. You can almost get burnt out because, after a day at work you don't want to spend so much time on your business even though you love it, but you have to. It then went from me sewing everything to having a team of highly skilled seamstresses. That transition was a huge learning curve and I am so thankful we did that. We received our first wholesale order of 6000 which was huge for us at the time so this forced us to reassess. I knew I couldn’t sew everything myself forever. “Inevitably, starting a business is risky. So it's important to invest in people or processes that do things better than you. As an entrepreneur, the biggest mistake you can make is trying to do everything on your own. I believe if you are investing in the right things at the right price for your business, you will see a return. This was the case when we signed up with Wholesale in A Box. I remember getting WIAB’s 5-part email course after signing up and I thought. ‘Oh my gosh, this is all such good information.’ Then with your help, I started drafting my emails to potential customers. I went for it with the help you provided. Ever since then we have seen some great successes with wholesale. NO SUCH THING AS FAILURE. “We’ve had our fair share of failures. In one instance, my fabric supplier completely ran out of fabric. I realized I had put all my eggs in one basket with only one supplier and there was a real risk I would have to shut down the whole business. The supplier then provided an alternative solution but their replacement simply wouldn't work for our designs. A year into the business, that was a scary moment. Thankfully we sourced an alternative supplier, who we still use today, and things are working great. I talked to my Dad, who is an entrepreneur, and he said ‘You have to keep moving. You don’t have to get back to where you were, just get to a different place that works for your business.’ I then came up with a totally different way to sew the headbands. It uses less fabric and it’s less labor intensive. So the outcome had such a positive impact on the business in the end. “The biggest thing that I have learned through this business is to strike a balance between patience and tenacity. There are some things you have to slow play and others that you have to push really hard. Anything in excess or lack isn’t good. If you’re constantly pushing, you're going to get burnt out, but if you’re always sitting back, you’re not going to get anywhere. A huge thanks to Skyler for sharing her journey and insights! As always, she shows a remarkable mix of humility, confidence, and generosity, and we’re so glad SugarSky is thriving. You can follow SugarSky at sugarskyshop.com and at @SugarSky. 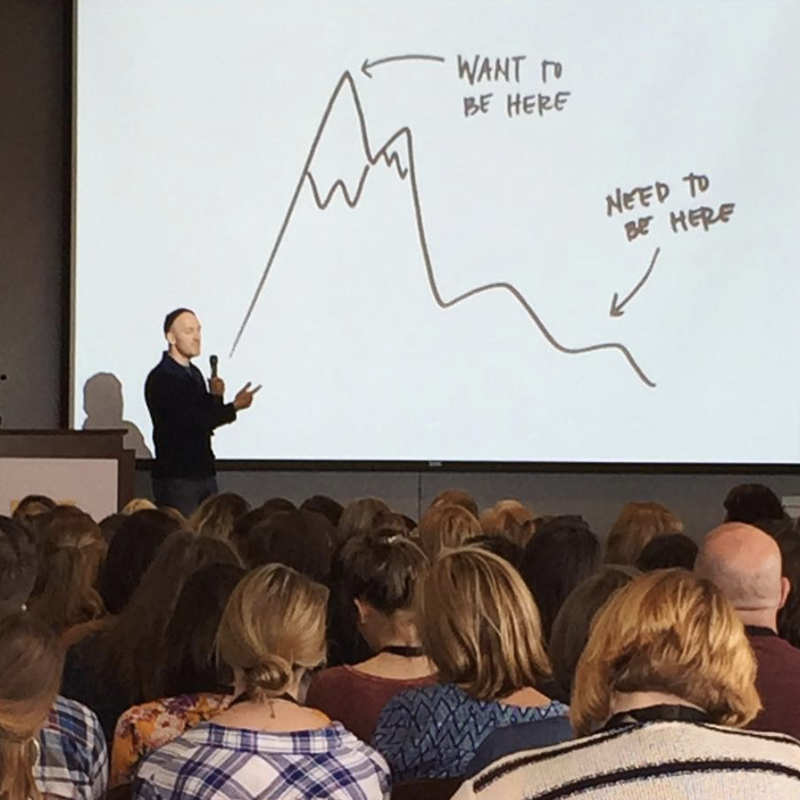 This year, I was invited to speak about growing your handmade wholesale business at Makers Summit (by Makers Collective, in Greenville, South Carolina.) It was exciting, since I really admire the Makers Collective folks and the authentic, thoughtful way they do things. But I had some reservations, because it's hard to take time away from work and life to do something that may be awesome or may be meh. But now that my bags are unpacked (and by "unpacked" I mean: open and spilling their contents on my bedroom floor), I feel pretty much in awe of how great the conference turned out to be. Whether you were there with me and want to relive the greatest hits or whether you're thinking of attending next year, I wanted to share some of the moments and insights that made this a magical couple of days. 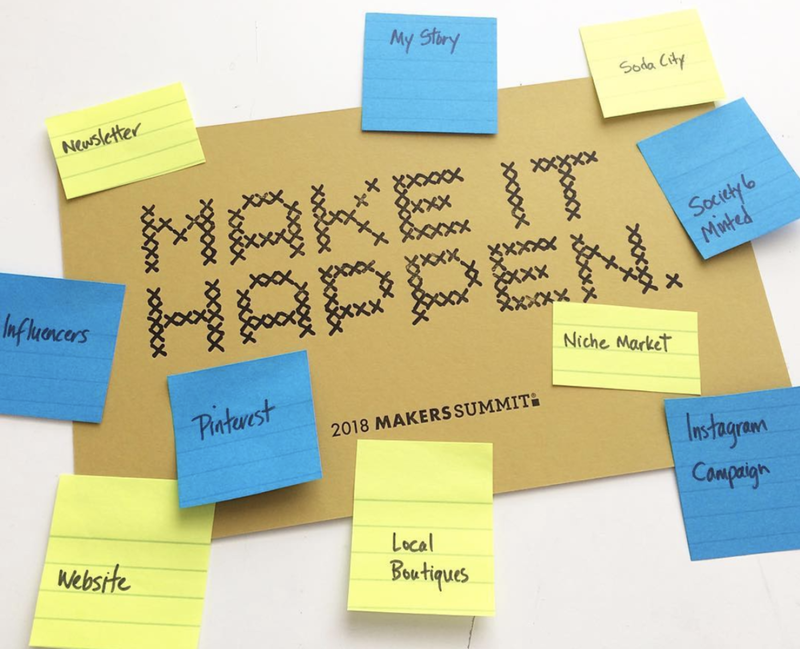 Of course, this is just a sampling, and there were a lot of speakers I wasn't able to attend or take notes on because I was preparing for (or giving) my workshops, so suffice to say: thank you to each and every person who shared their heart and energy and wisdom at Makers Summit this year! First, I I had never been to Greenville, South Carolina but it's a beautiful place. Thoughtfully designed, and nestled next to a beautiful river -- it's an easy and gorgeous place to spend a weekend. Check out Methodical Coffee and Falls Park, two of my favorites. Then I noticed how kind and friendly everyone was. Makers Summit attendees were incredibly open and welcoming and I never felt that out-of-place "I'm at a conference and know no one and this is lonely" feeling. 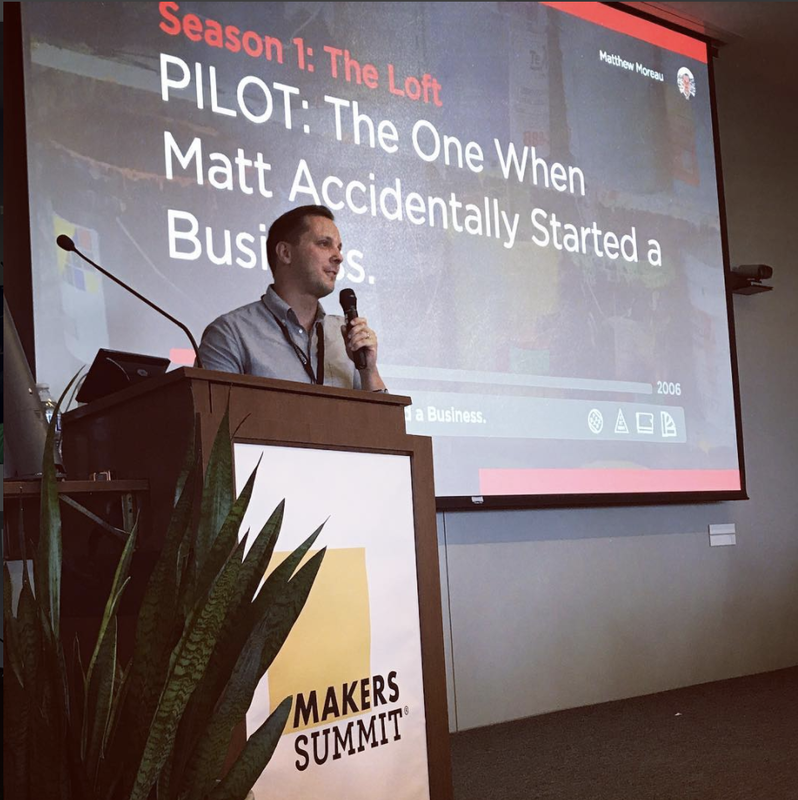 But most of all, I was floored by how thoughtfully the Makers Summit organizers had woven a spirit of hospitality, respect, kindness, beauty, and welcome into EVERY element of the event. The weekend ran in the flawless way that only comes about through sheer hustle and determination. They made every interaction and every detail a chance to make attendees feel cared for, inspired, and welcome. At some conferences, there is a sense that no one has a spouse, a kid, or a life outside of work. At this conference, many people were there with their spouse, or their mom, or their best friend, or their baby. And many, many people I spoke to told me stories of starting their business with a sleeping baby on their lap... or the smart ways they've structured their life to "live the dream" of creative life and work that isn't compartmentalized. I left feeling inspired that you don't necessarily have to compromise your family for your business, or sacrifice your business for family -- but rather that both things can work in a creative, messy, challenging, satisfying, rich whole. @annasanders is an inspiring photographer and designer, as well as @philsanders' partner in crime. She was a thoughtful presence at the conference alongside her hubby. @letteredlife and @austin.bristow shared enthusiasm and passion for making a life and managing time, both in Austin's workshop and in chats throughout the weekend. @rbprintery volunteered at the conference, hosted a letterpress station, and run a beautiful husband-and-wife letterpress biz. Jen Gotch from Ban.Do gave a very personal talk about the deep challenges she finds in running her business. She said she wanted to "destigmatize mental illness and deglamorize success," and spoke courageously on behalf of both goals. Her experience has been that business is hard, gets harder, and is 100x harder than it ever looks from the outside. Her experience may not be everyone's experience, but it's a valuable voice in the conversation. Many people also spoke to how deeply satisfying running your own business can be and how it's only gotten better over time. Love this illustration by @avamariedoodles who also runs @aviatepress. Super-loved Jeni's followup comment on Ava's post: "It’s not going to be easy ..... but that’s what makes you: an Olympian, Frodo, Annie Oakley, Luke Skywalker... you’ve gotta challenge your inner champion. And also, that illustration is my favorite likeness of me ever. Thank you. Phil Sanders from Citizen Supply and Matt Moreau (from @thelandmarkproject and Dapper Ink) gave funny, interesting, and inspiring talks about their journeys and insights. Neither started with a master plan... and there were a lot of false starts, setbacks, and victories along the way. 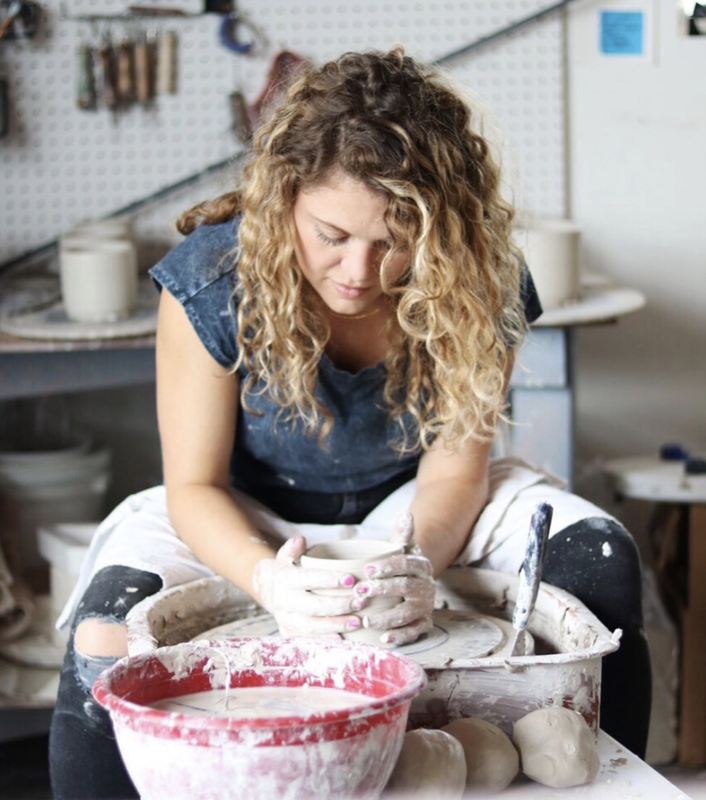 In my workshop, I emphasized that one of our 5 Rules of Growing Wholesale is crafting (and sharing) your story. So it resonated with me that both Jen and Phil spoke to the importance of simple, consistent storytelling throughout their talks. Most makers start as a one-woman operation, but many of the speakers emphasized that building your team, your community, and your group of mentors is crucial. Matt Moreau and Phil Sanders spoke to the need for metrics, accountability, systems, and structure in creating a thriving business. At one point, years into running Citizen Supply, Phil read textbooks on buying to fill in the gaps he had in his business. Matt, a self-described "art school kid" when he started, has developed intentional rhythms and structures throughout Dapper Ink to keep things growing and on track. Many of the speakers said it took them many years before they were able to articulate their vision clearly. But they all emphasized that it's important to develop and communicate a clear vision, when you're able to. "Ask 'How cool would it be if __________.' Give everyone some room to dream together." (Obviously.) But I found it incredibly fun and meaningful to meet people in real life who I had connected with through Wholesale In a Box online. I got to meet Lou from Garner Blue who we had been emailing back and forth with and is such a sweet presence in the maker community with her line and with her new shop. (And then to crown it all off, I spotted her carrying a Native Bear bag, one of our beloved Wholesale In a Box makers!) I met to meet the wonderful @positivelycreativepodcast, who sparkles with intelligence and warmth. And there was maker after wonderful maker in my workshops who I had been in contact with and could finally strategize with face to face. Me, happy and tired after three great @wholesaleinabox workshops! Last year, I got really into The Great British Baking Show. Is that something that I should admit? Probably not, no. But after a stressful day, there is something bizarrely relaxing about watching people frantically bake Cardamom-Vanilla Cupcakes With Raspberry Coulis Filling. If you're not familiar with the premise of the show, it's pretty simple: a group of amateur bakers compete each week on both their technical and creative baking skills. At the end of each episode, one baker is the "star" and one goes home. It culminates, of course, in the episode that picks the final winner. It’s fascinating to watch the evolution of the bakers over the course of the episodes. At first, everything is a bit of a hot mess. And, honestly, that's why it's so fun to watch the first several episodes of the season. It's a hilarious mix of potential and chaos and joy and epic failure. Cakes fall on the floor, bakers laugh and cry, things freeze and shatter, and flavors are sometimes so creative they are completely inedible. Many of the bakers are frantic, but they're also, in some way, still not taking the competition seriously. They're certainly not taking themselves seriously -- showing both a sense of ego as well as a lack of confidence. What they bake is really inconsistent, sometimes marvelous and other times a complete mess. Oddly, many of the bakers also don't practice or plan, although there is time to do so between episodes. Many of them are winging it, perhaps because they don't really believe they can win the competition and aren't sure they want to invest in it. They're definitely not "all in." And they don't seem to be using all the tools or techniques or planning structures that they could. Later in the season, the bakers start to get serious. As the number of remaining bakers dwindles, they sense that there is a real possibility they could win the competition. And as they see the impact of their hard work, they start to realize that a lot more of their success is in their hands than they thought. They start to practice more during the course of the week (between episodes.) The look both more relaxed and more serious. They are more calculated with their plans and flavor combinations. They have a better sense for timing, using timers to keep them on track and balance complexity. It's a shift that the author Steven Pressfield calls "turning pro." The bakers have an internal transformation that bumps them to a completely different level with their work. One of the bakers exemplifies this "turning pro" moment so beautifully. An engineer by trade, Andrew is a bit anxious throughout the season. Despite his training and perfectionism, he's haphazard and there is a randomness to how he seems to be approaching things. 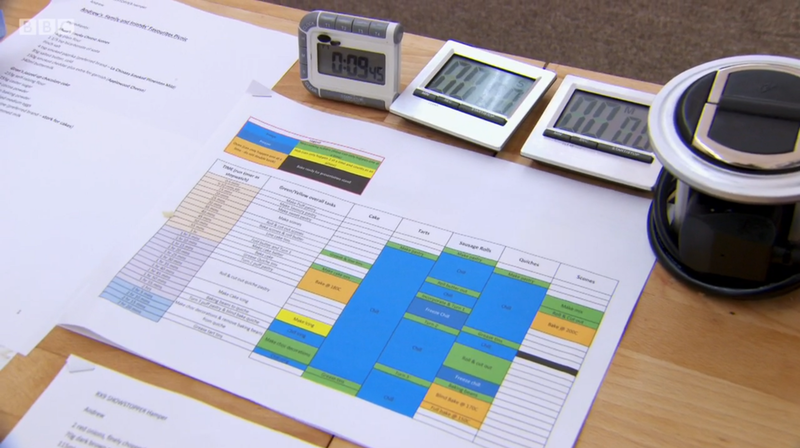 But by the last episode, he becomes so organized that he creates an intricate spreadsheet to keep track of the bakes and their timing. It's the ultimate example of something all of the bakers are doing -- becoming so serious about what they are doing, that they don't allow themselves to risk their passion to a lack of planning. I've seen this with both my own work and the work of our makers. At first, as creative business owners, we're kind of winging it. We can't quite believe we're really running a business or doing our art, so some days are marked by brilliance and others are frantic failures. We don't use all of the structures or supports or systems that would help us be successful. And we don't plan in the ways we should. Eventually though, either in a swift change or over the course of years, many of us turn pro. We, indeed, stop fearing spreadsheets. We get better photographs. We finally learn to really understand our business finances. We hire help. We hire professionals. We become professionals, both taking ourselves less seriously but taking our work and potential more seriously. So, as silly as the parallel to a baking reality show seems, I really encourage you to consider this dynamic in your business. Where do you need to turn pro? Where are you letting yourself off the hook, and in doing so, holding yourself back from your fullest potential creatively and financially? Where are you playing small and letting yourself be disorganized and letting things be haphazard? We don't need to turn pro all at once. But each day, we can take a small step towards that pro version of ourselves. The important thing is to keep moving toward it.